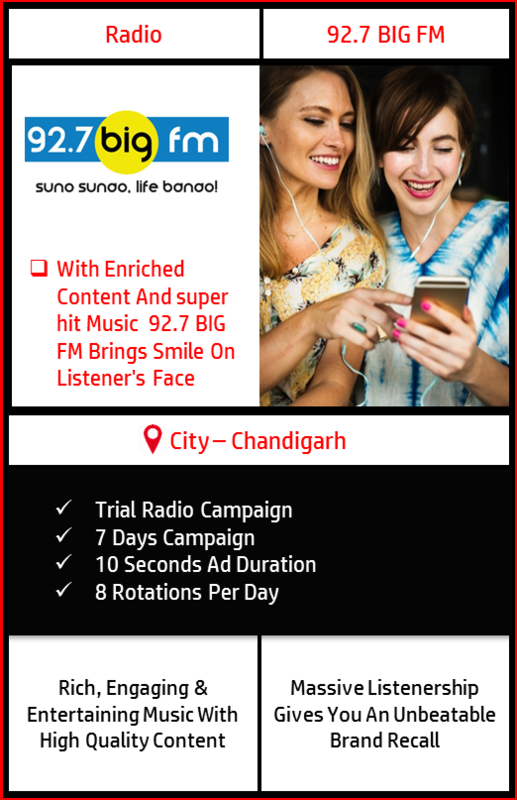 Book Ad On 92.7 BIG FM Radio, Chandigarh with a 1-week strategic trial offer. Why Advertise on 92.7 BIG FM? 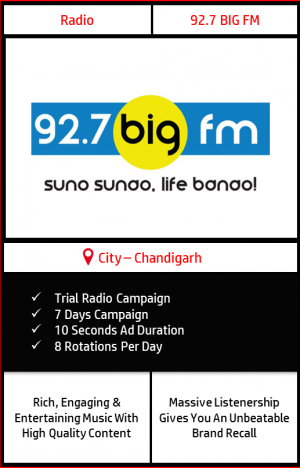 In India, approximately 4.2 Crore people are targeted by BIG FM in a week. With the best RJ’s and Super-hit music, BIG FM targets a massive audience including midnight shows. 8 rotations of 10 seconds each would be played per day consecutively for 7 days on 92.7 BIG FM, Chandigarh.